In times of transition it can be difficult finding time to get organized. Whether your transitioning into a new relationship, a career change, or a new home, creating a new structure or routine is pivotal. From the compulsive cleaners, to those who could care less, change often inspires us. One family I have been working with recently built and moved into their dream home. I have spent my time organizing my way through their home, one gorgeous room at a time. And if I am being honest, it is just FUN. I mean, no kidding y’all, I would do this stuff for free. Well, you know what I mean. I love my job. 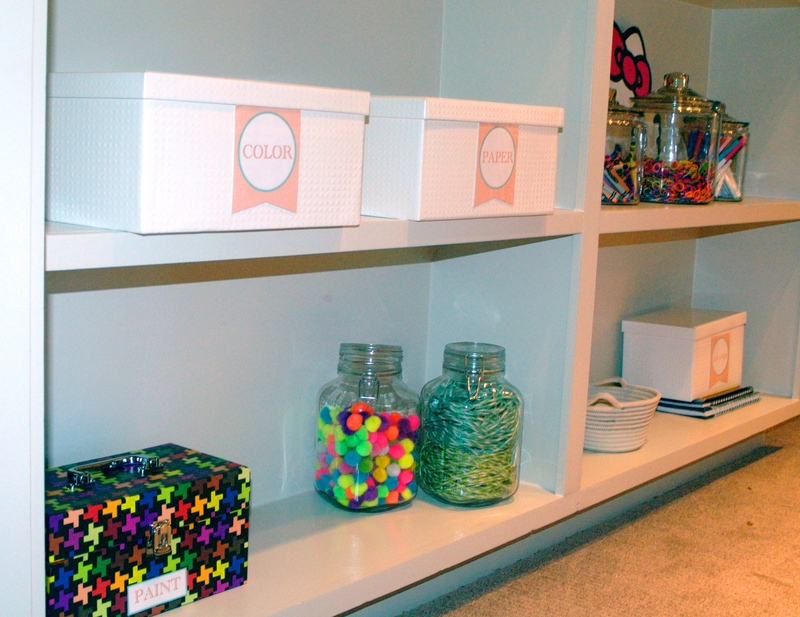 Anyhewww, while moving her family of five into this new home of theirs, my client thought it would be the perfect opportunity to not only get organized, but to teach her children how to stay organized. A wise call, in my opinion. 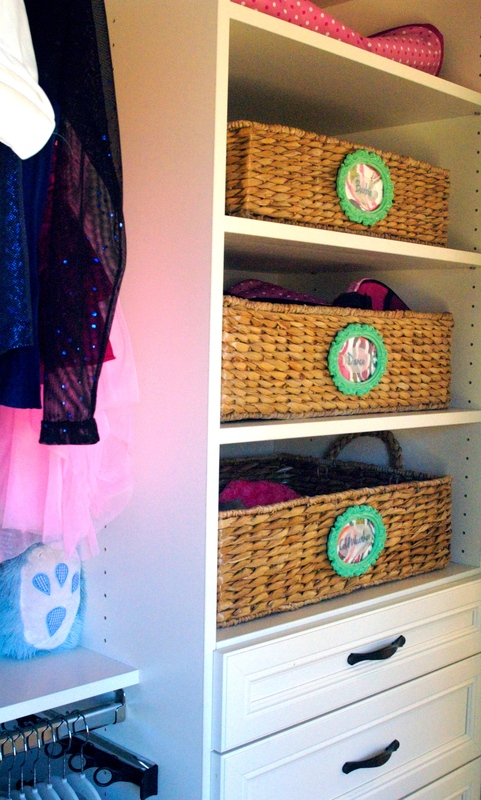 So in an effort to keep the kiddie spaces nice and tidy, I got started on 8 -year-old Katelyn’s closet. 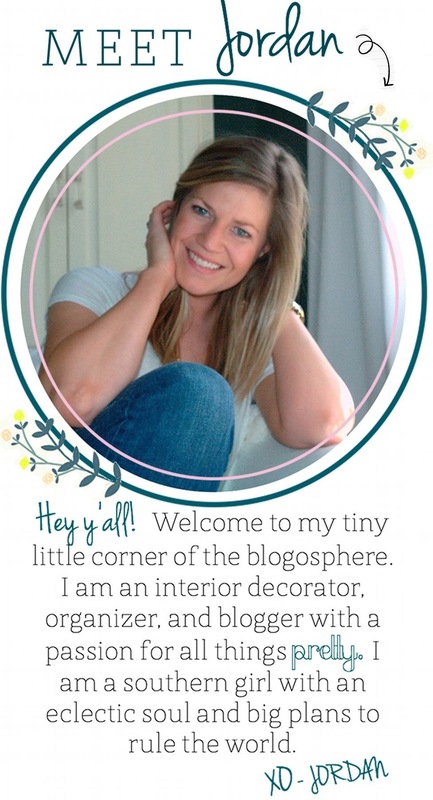 My thinking for Katelyn’s space, was that if it looks pretty, she will want to keep it looking pretty. And by keeping her room “pretty” she would be teaching herself how to stay organized (putting things back in their propper home, etc.). Being that Katelyn is only 8 it is also important to create a space that she can grow with. Where’s the sense in spending good money on tiny little “kid-sized” things that will have to be changed out in the near future. 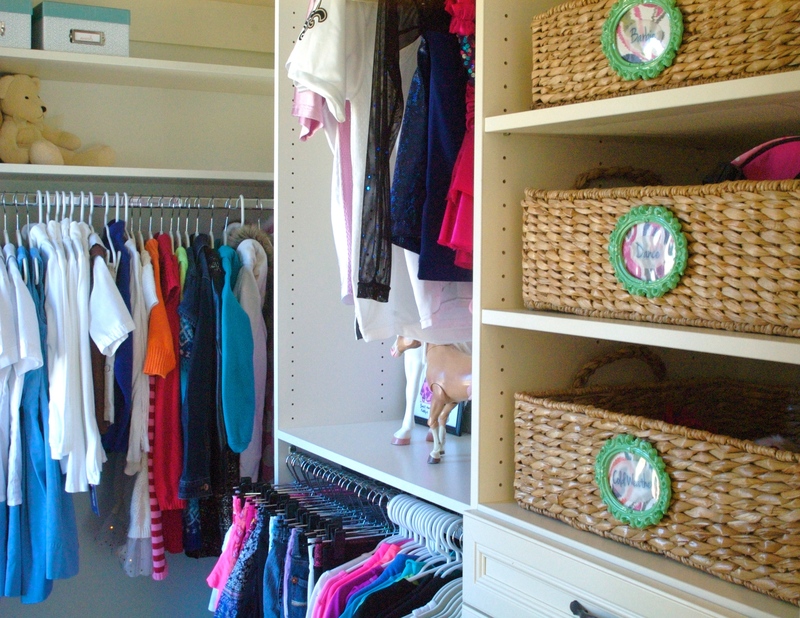 While child-sized hangers are a good idea, child-sized storage is not so much. 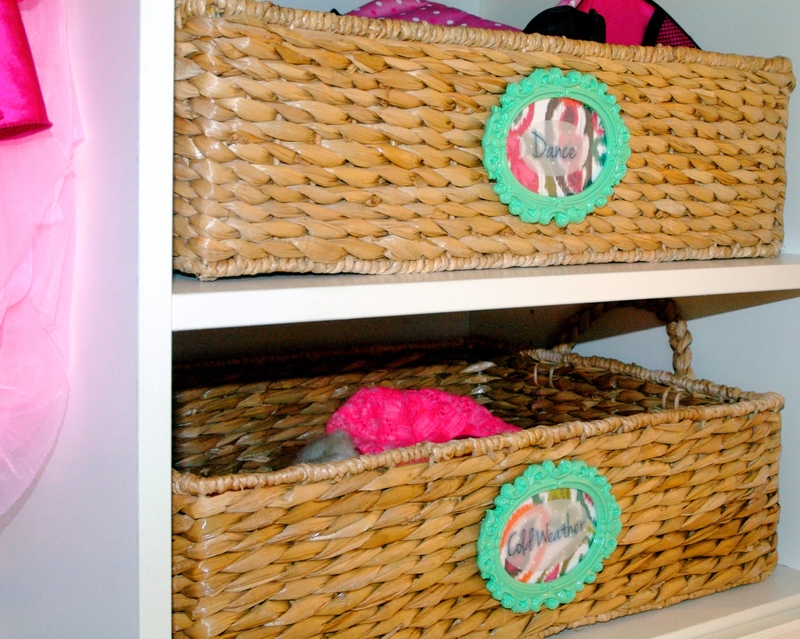 It is a simple, and affordable task to get new hangers when the time comes, but buying a whole new set of storage baskets to replace kiddie-sized baskets, is just unnecessary. I like to purchase high-quality baskets that will stand the test of time. Next, I make labels and attach them in a non-permanent manner. 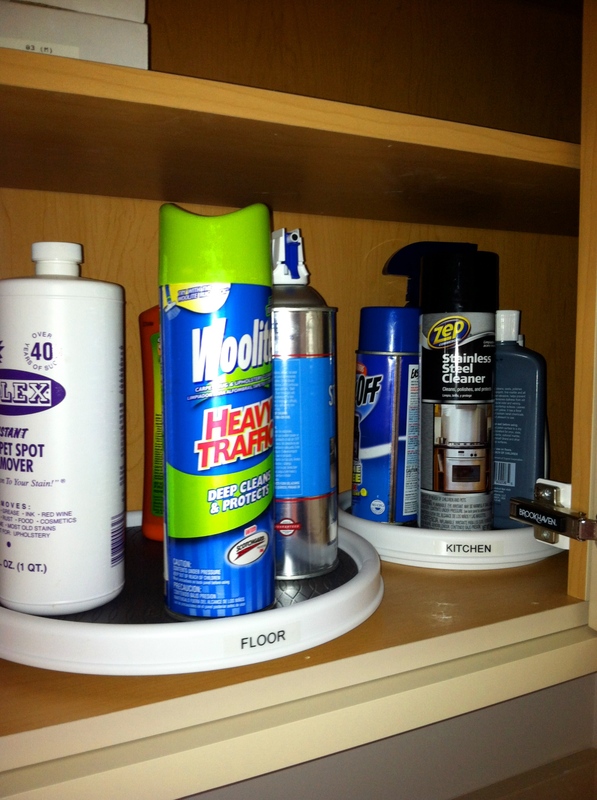 This allows for the labels to be easily replaced when necessary. I purchased these darling little frames on the clearance aisle at Michael’s. They were only $1 a pop. Can’t beat that steal! So yeah, I’m proud of these little labels. I think they are adorable. Having a home for everything is key. No lone mittens under the bed or ballet slippers behind the door. This is a fool-proof system that even a 8-year-old can maintain. Why stop there? Here is a peak of her very own, no brothers allowed, bathroom. An orderly bathroom where every hair tie and toothbrush is in it’s place. 1. 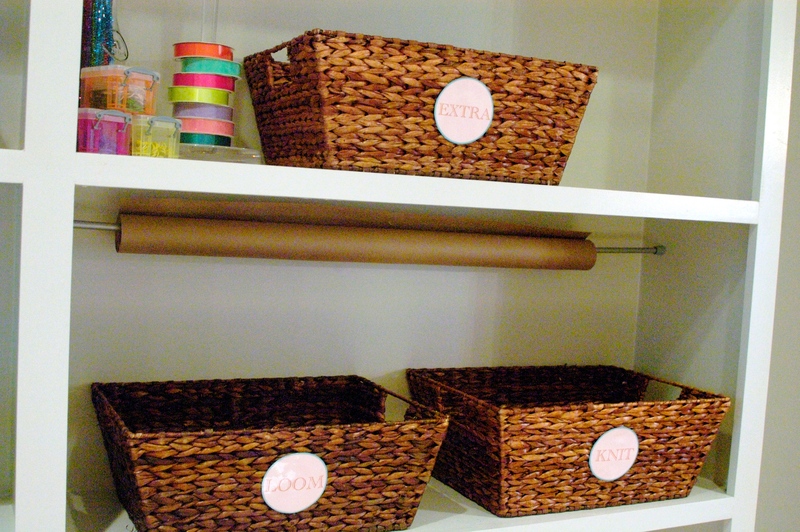 Empty out the contents of each drawer. 2. Get rid of old products and anything that you don’t use. 3. Compartmentalize. 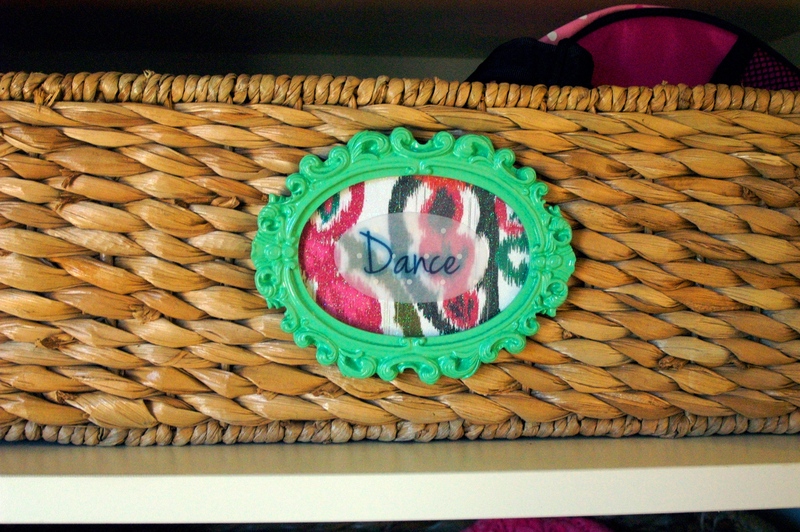 I prefer to use little individual acrylic drawer organizers from Bed Bath & Beyond. After a test run, I use glue dots to secure the organizers in place. 4. 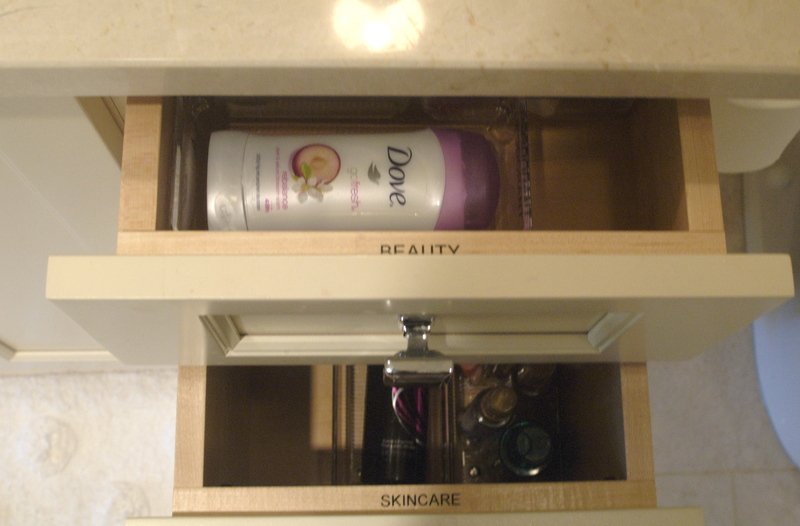 Label each individual compartment and the entire drawer. 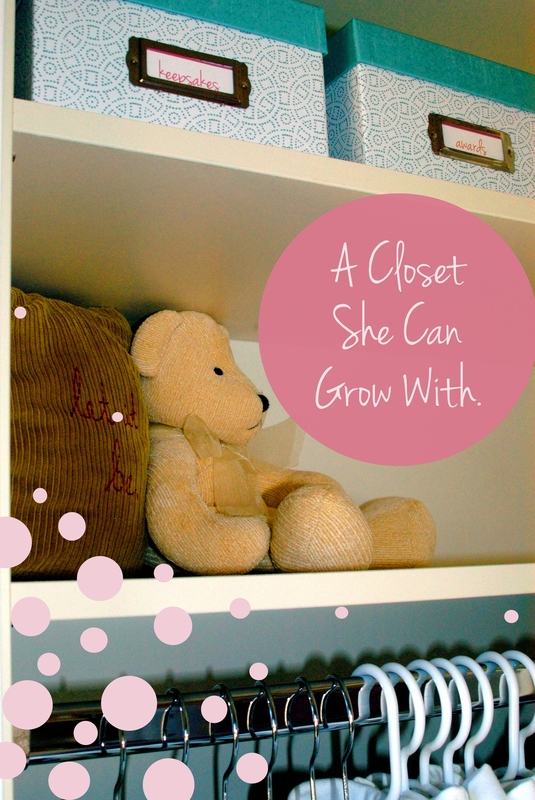 Stay tuned to see what I did in the boy’s closets! With January in full swing, lots of us are are taking the opportunity to get organized for the new year. I think that is just great! My project for the week, was working with a mother to get her children organized. 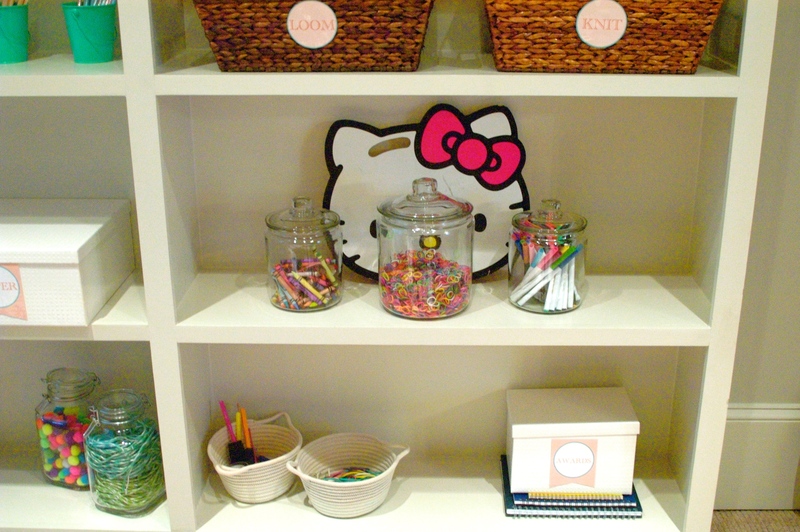 Now I know what you are thinking…”What’s the sense in organizing for kids? It will never stay that way!” So let me impart my logic about the whole deal. 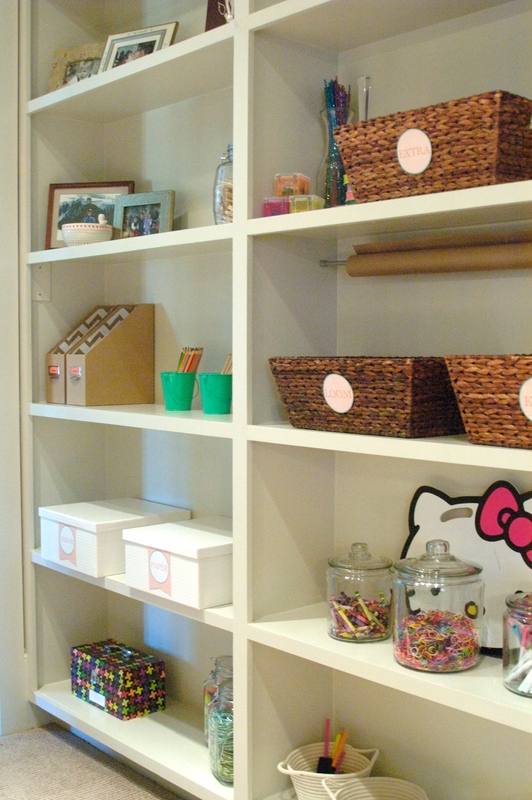 Getting organized with young children can really be hugely beneficial to everyone involved. Creating a system that is simple enough for children to understand and work with is the key. 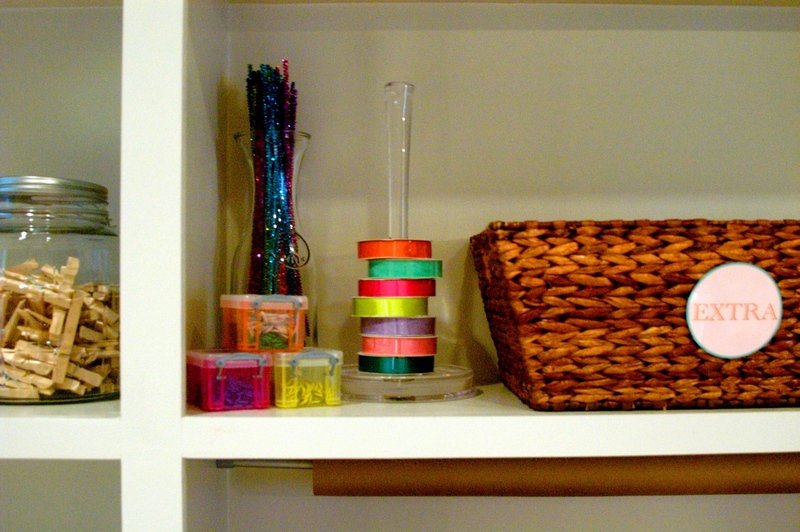 If everything is uncomplicated, kids with have no problem returning things to their proper home when they are finished. Now keep in mind, obviously, you might need to remind them to clean up behind themselves every once in a while. But, after they have grown accustomed to being neat and tidy (when they are teenagers, or moving into dorm rooms) you will be thanking me. 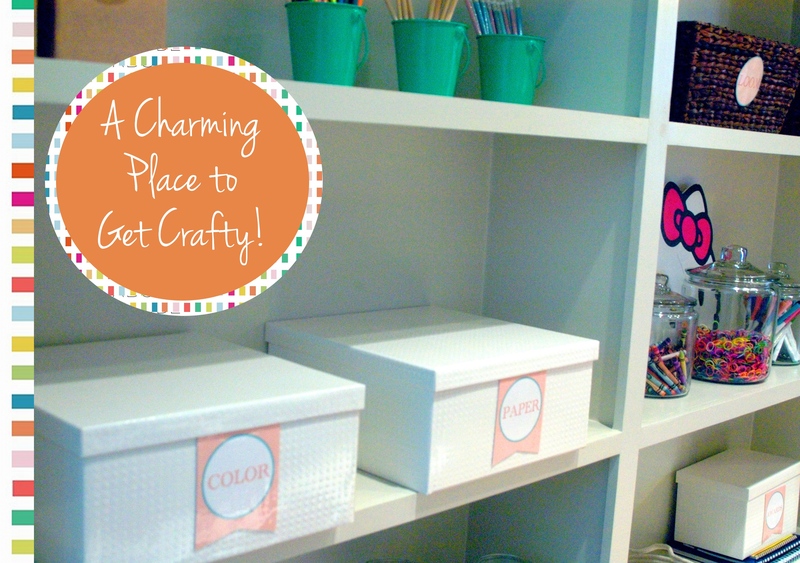 Above: large boxes from Target are perfect for housing different types of craft paper. Voila! Crafting made kiddie! It is simple enough for them to keep up with, understand, and enjoy. 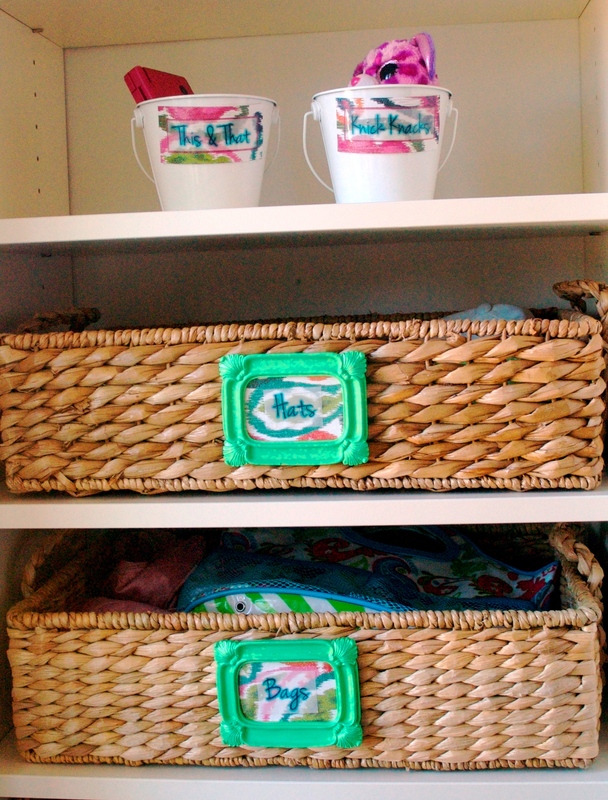 Use glass canisters and jars to display all the fun, colorful things. It also makes for easy access, and no labels necessary. With the intention to control the craft paper, I placed it on a cheap-o tension rod. Easy as that y’all! I also wanted to make ribbon-handling a bit more practical, so I stacked bolts onto this cute lucite paper towel holder (from Target). Stay tuned, as I work my way through the rest of the house! Hey y’all! I hope everyone is having a fabulous new year. To celebrate the new year a client of mine decided to revamp her home, room by room, in An Orderly Abode fashion. How neat, I know! This job was particularly exciting for me…and I’ll tell you why. My client literally JUST completed building her family’s dream home. As an already “organized” person she (and her builder) worked together to create a home with the absolute perfect potential to be awesomely organized. I mean this house has storage for days. Swoon. So with large closets, deep drawers, and plenty of cabinets, I stepped in. Let the organizing begin. First things first. My first day on the job and the family had just moved in the day before. Having a family of five, my client’s main priority was to tackle the spaces with the heaviest traffic. So, to the pantry we went! The way they designed the kitchen left ample storage in cabinets and drawers for most everything you could imagine. Which meant the pantry would not need to store any unsightly kitchen gadgets and what-nots. 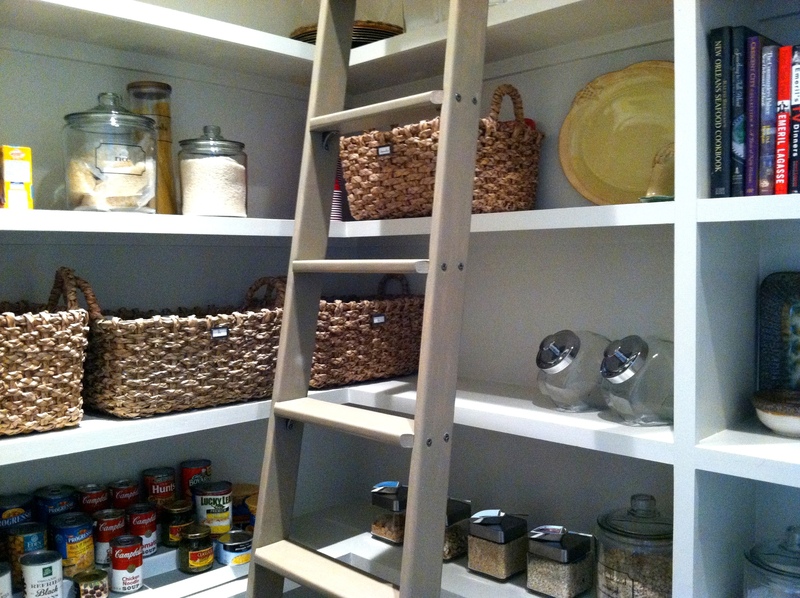 The beauty of this pantry was that it was an open-style one. No door. Yikes! Just the thought of not having a door on your pantry gives most people a fright. Be not afraid, y’all. You don’t need a door, no ma’am! 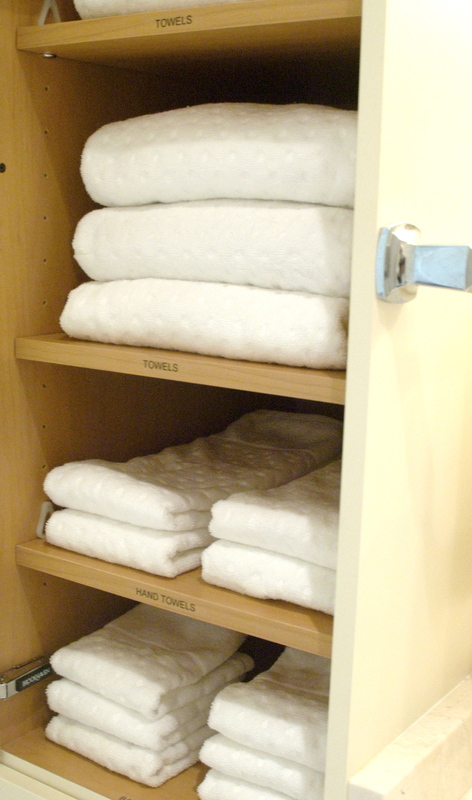 With the perfect system to keep things organized and tidy, you might just find yourself going door-less before you know it. Being that the family had only just moved in the day before, they did not have many of the staples they might regularly keep on hand. Typically the first thing I do when tackling any space is to take inventory. 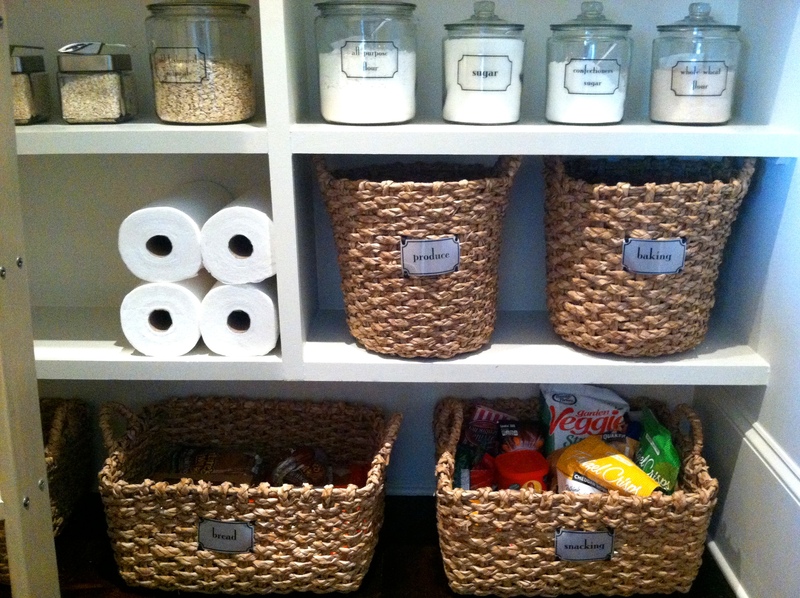 There is no sense in running out and stocking up on baskets and canisters if you don’t know what will fill them. With that in mind, I sent the homeowner to the grocery. Her task was to purchase anything that they typically keep on hand (think…flour, sugar, canned goods, pasta, cereal, etc.). At that point, I can determine what would be best stored in a basket and what items might be more convenient if poured into canisters. 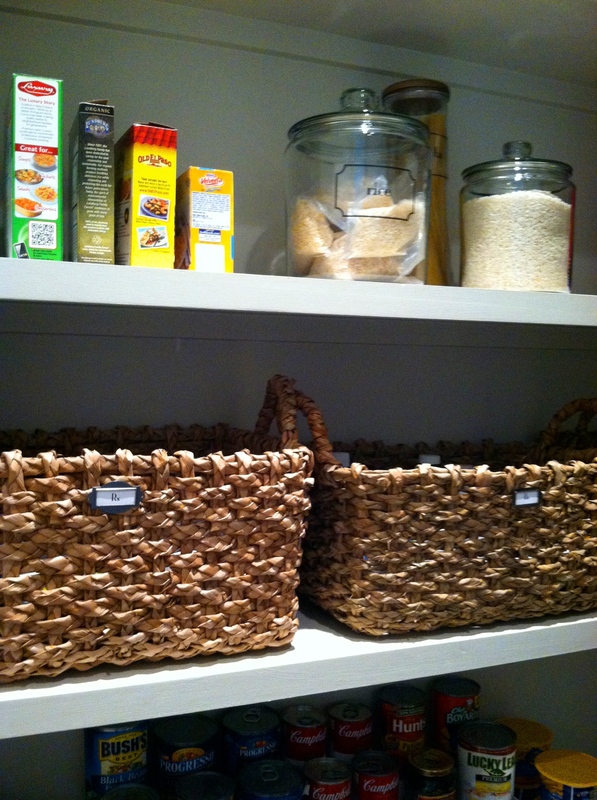 With 3 small children, we chose to place large baskets on the floor to store snacks, bread, and drink mixes. It makes things that need to be accessible to kids, actually accessible to them. 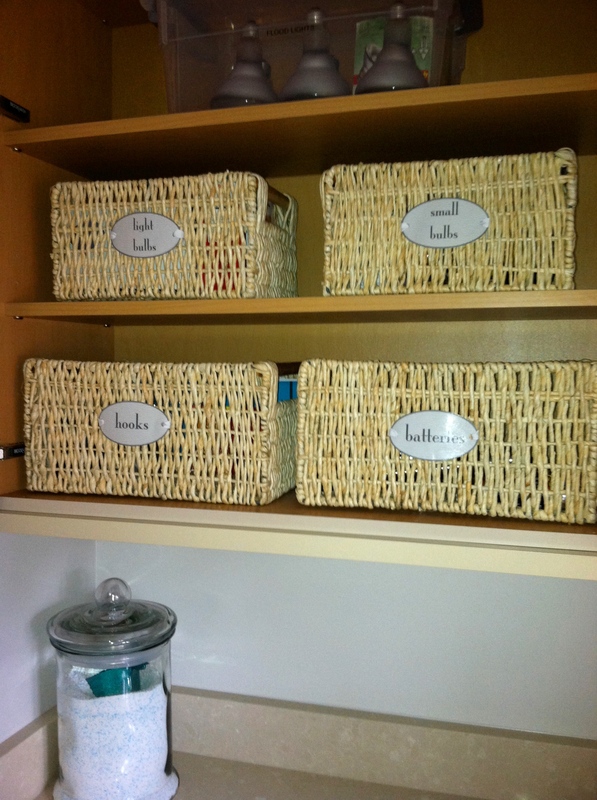 Three baskets, at a more grown-up hight level, are the new home to all medicine. 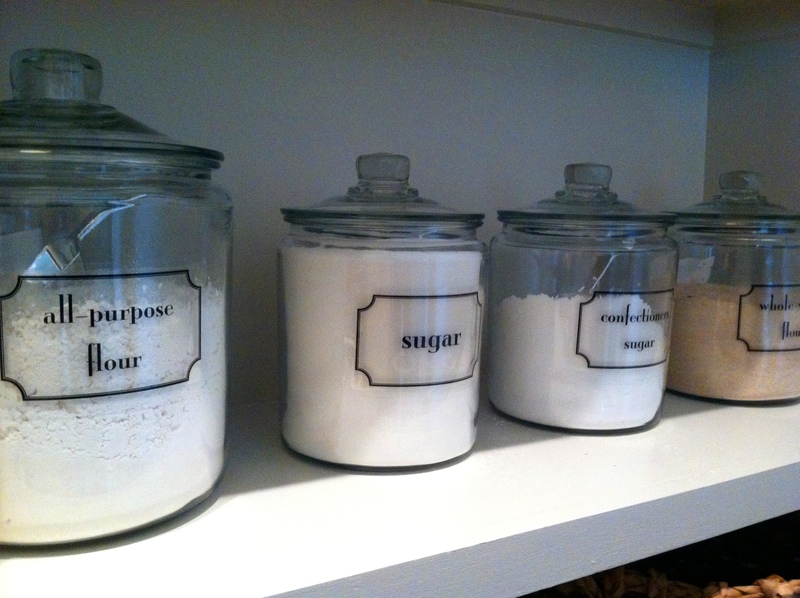 Each one, of course, categorized and labelled into it’s own family. One for cold and flu, another for antacids, and the last for prescription medication. When you give everything it’s very own home, it sure is easy to keep things in their home. 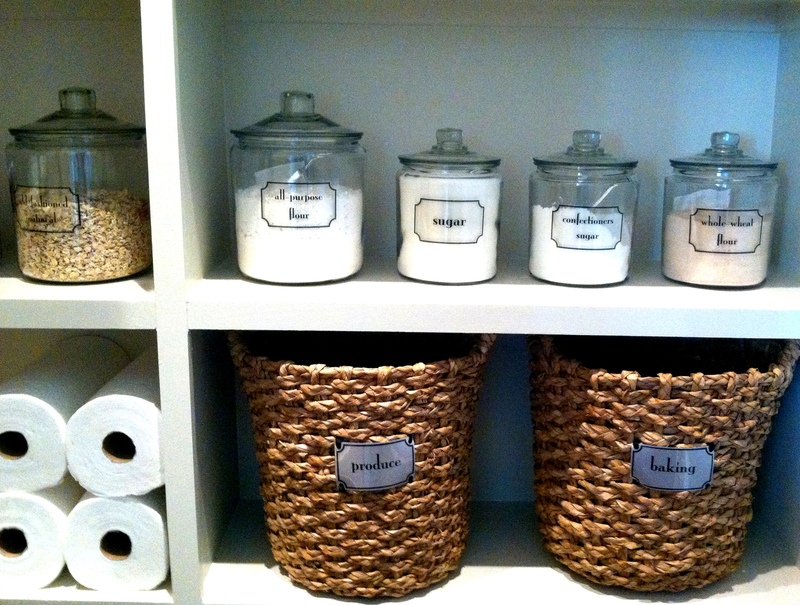 Large canisters are ideal for storing baking goods. Throw some scoops inside and making your next batch of cookies will be a breeze! 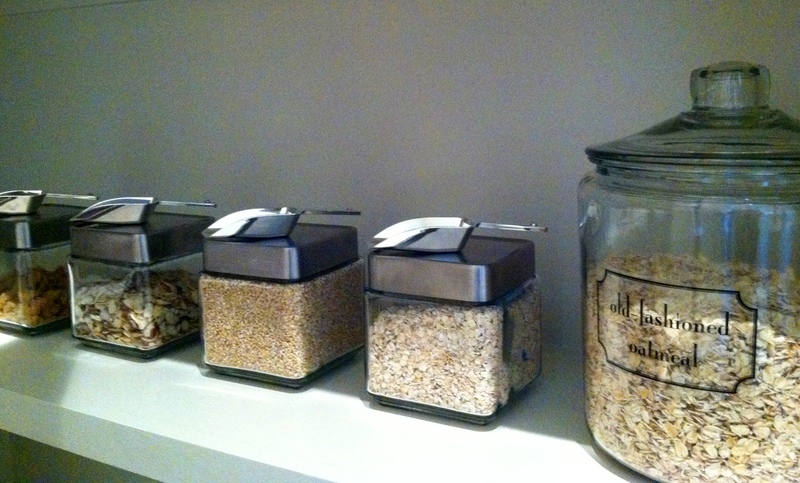 Smaller canisters hold oats and nuts. I stumbled across these dainty little scoops at the craft store. They were hidden away in the wedding aisle. But they sure do serve a good purpose! 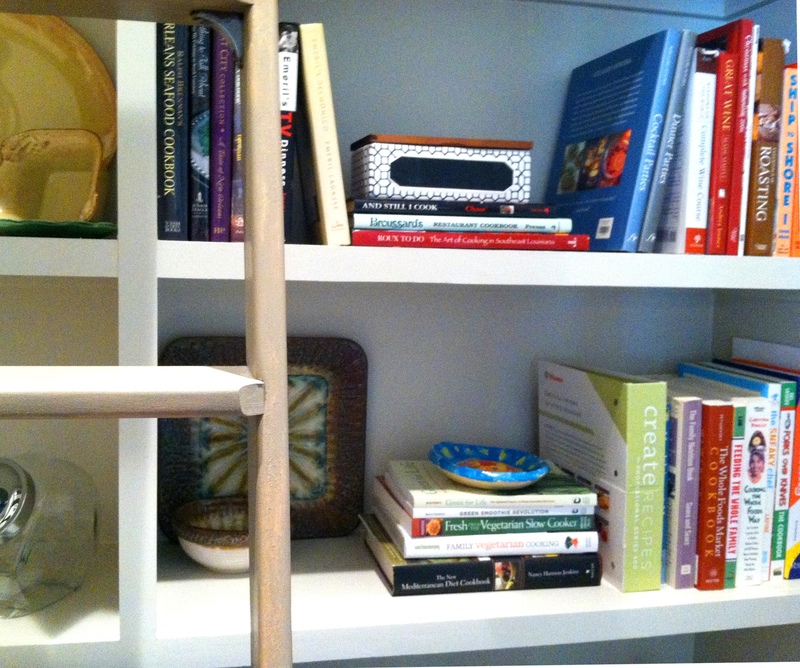 With plenty of open shelving, why not display cookbooks? Show those suckers off! Don’t forget the canned goods. 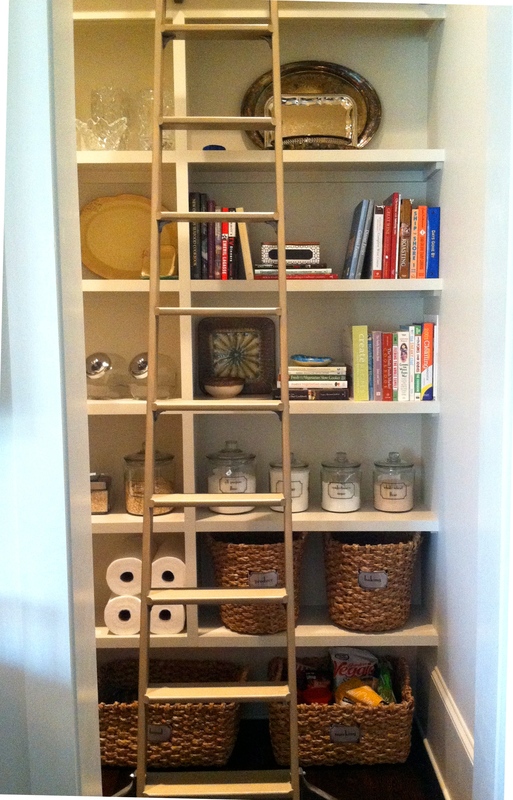 You can find these tiered racks just about anywhere. But mine came from Target. Voila! She is complete. A no-door-necessary pantry to be proud of! Baskets, baskets, baskets. Yes, please. Turn tables are perfect for cleaning products. This way you can see it all!